Hundreds of Notaries from around the country are preparing to travel to Orlando, Florida, for NNA 2015 Conference (May 31-June 3) and the workshops, general sessions and networking events won’t be the only things keeping people busy. While you’re looking over the Conference schedule and planning your days, it’s okay to snag a few hours away from the venue — we’ll never tell — to explore this friendly and thriving Southern city. Explore downtown. Mayor Dyer has attracted a dozen high-tech companies to the downtown area to boost culture and revitalize the area. The attractions he most highly recommends include The Dr. Phillips Center for the Performing Arts, a refurbished Citrus Bowl and the University of Central Florida. 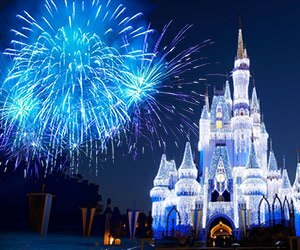 Log onto BestofOrlando.com to book tickets before you travel; prices may vary. Meet an astronaut. Take the Gray Line City Bus Tour round trip to the Kennedy Space Center while your bus driver “guide” fills you in on all things interstellar. At the Center, you may feel the rumble of a shuttle lift-off simulation and meet a veteran NASA astronaut. Hit the outlets. Watch your wallet at 150+ boutiques and budget stores throughout the Orlando Vineland Premium Outlets. Many out-of-towners claim it’s the best batch of international outlet stores on the East Coast. Wear comfy shoes — it’s a gargantuan complex. Fly over treetops. A short drive to the town of Bradenton delivers you to the Traverse Treeumph! Adventure Course, an elevated adventure course where you’ll zip line and swing your way across five heart-thumping courses. Drive a Ferrari. At Walt Disney World’s Speedway, get an adrenalin-rush on a real race track with high-performance supercars like a Porsche or a Lamborghini. Your pro driving instructor will provide feedback from the passenger seat as you tear up the track. Party on. Named one of Travel Channel's "Top 10 Extreme Bar Hopping Bars,” Icebar Orlando packs 50 tons of artistically carved ice statues for a martini-friendly Artic experience. For adults only — and borrow a parka — it’s worth the price of admission. Note: Specially reduced Disney theme park tickets are available to conference attendees online or by phone, 1-407-566-5600. We look forward to seeing you in Orlando! Nicole Dorsey is the Content Manager at the NNA. Real Estate Signing Certification is what I will need in order to be fully qualified for what my plans are in the future. Thank you.